The National Patient Satisfaction Survey (PSS) was a voluntary and anonymous survey taken in 2015 by patients with bleeding disorders such as hemophilia, von Willebrand Disease, or other factor deficiencies who were seen for care at their local Hemophilia Treatment Center (HTC). 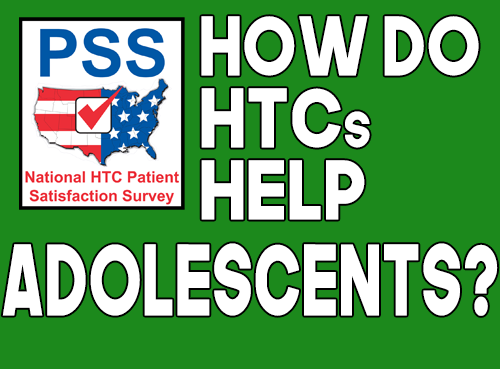 The HTC Survey was designed to measure the satisfaction of patients at these centers throughout the United States. This site hosts information and results from the first survey and will act as a host for future surveys to continue to study and learn more about how HTCs are doing and what they can do to improve care. Over 4700 people answered the Second National Patient Satisfaction Survey (PSS) of U.S. Hemophilia Treatment Centers (HTCs) that was conducted spring-summer 2018! Over 95% reported being ‘always’ or ‘usually’ satisfied with HTC care. The first PSS was conducted in 2015. In 2018, patients and caregivers from over 125 HTCs throughout the country joined. Data are being analyzed. Results were given to each participating HTC to guide service improvements. Articles showing national level results comparing the two time periods will be posted under this website’s news section in the months ahead. Results from the 2018 survey were presented in October 2018 at the National Hemophilia Foundation’s 70th Annual Bleeding Disorders Conference and the American Thrombosis and Hemostasis Data Summit and can be viewed here. Friends of the National Center on Birth Defects and Developmental Disabilities and the Hemophilia Alliance reported on the PSS in their November and December 2018 newsletters. We thank everyone who shared their voice and experience with their HTC. If you have questions, please contact us at HTCSurvey@ucdenver.edu. Click the graphic above to learn about the Second National Patient Satisfaction Survey. Learn about the First National Patient Satisfaction Survey administered in 2015. Who responded? What was the feedback? What did we learn? All articles & a video about our results are listed here.